Print on any color paper. (I used a nice textured cardstock). Do your best at some jolly handwriting and you're done! I wouldn't stress about mailing it; Santa's elves would probably hand deliver letters in a box or rolled up and wrapped with fancy ribbon, right? Enjoy! 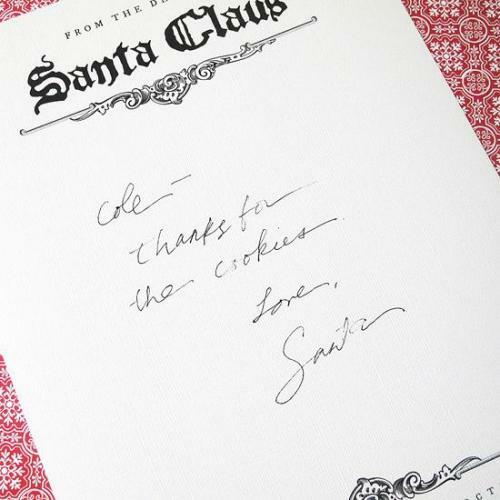 My youngest daughter thought it was neat t get a letter from Santa thanking her for the cookies and milk. Wonderful. Simply wonderful. This is a great way to send out thank you letters to clients!! I have already sent out a few this year.